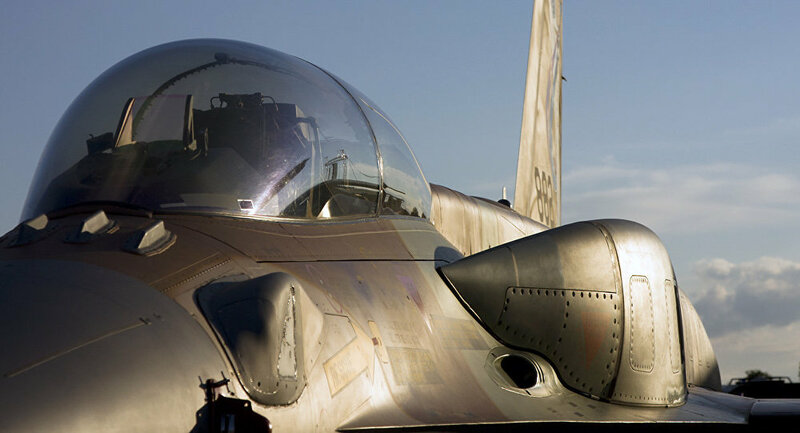 The Israeli air force has been patrolling the Syrian-Lebanese border between 19 and 20 of May, reports Lebanese Al Masdar News. According to the media outlet, Israeli jets flew through the Lebanese province of Nabatiyeh to the Beqa'a region. From there, they flew along the Syrian border for a short period of time. Neither Lebanese, nor Syrian officials have confirmed this information so far. For the last several years, the Israeli air force has been conducting airstrikes on Syrian territory from Lebanese airspace. The most recent Israeli airstrike took place on May 10. Tel Aviv claimed that it launched the attack in retaliation for rockets being fired at the occupied Golan Heights by the al Quds forces (armed wing of the Palestinian Islamic Jihad organization, allegedly backed by Iran). According to Israel, the airstrike destroyed almost all al Quds facilities in Syria. The Syrian army reported that its air defenses had "shot down dozens of Israeli missiles," however several of them did reach their targets. According to unconfirmed reports, several Syrian servicemen were killed and wounded as a result of the strike. In February and April the Israeli air force also conducted airstrikes against the Syrian T-4 airbase, claiming that it had targeted "Iran's bases in Syria," which Tehran had allegedly been planning to use in order to attack Israel. Syria and Iran have slammed the attacks, which allegedly killed several Iranian military advisers.